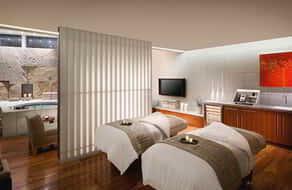 Recently awarded the Forbes Travel Guide Five-Star Award, The Spa & Salon at ARIA is the largest five-star rated spa in the U.S.
Our full-service spa infuses Earth’s elements into a complete menu of skincare, massage and hydrotherapy treatments. Breathe in salt-infused air in the Shio Salt Room, relax on heated-stone Ganbanyoku beds, or savor a quiet moment on the spa’s co-ed balcony. Get away from it all, and let our all-star team of specialists ease your mind and body. 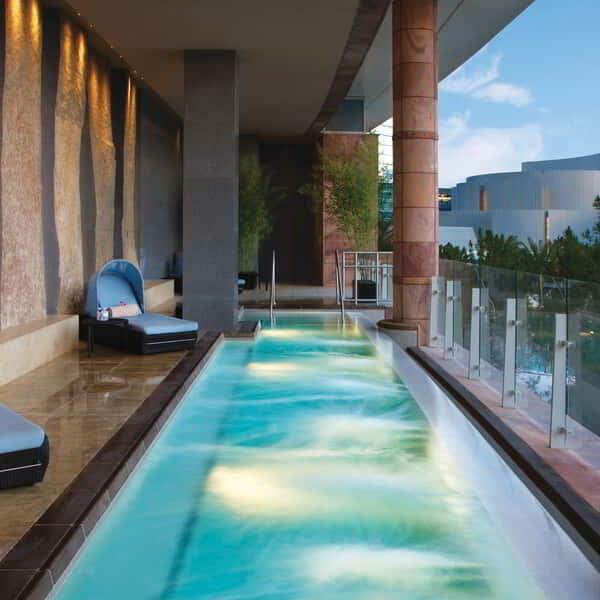 We offer a complete menu of spa treatments that leave you relaxed, re-energized and ready to step back into the excitement that ARIA and The Strip have to offer. 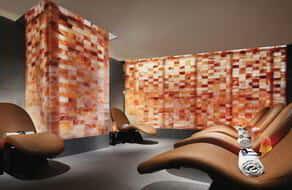 *Available for ARIA Resort & Casino, Waldorf Astoria and Vdara Hotel & Spa guests only. Treat yourself to a private Spa Suite and let our staff handle all the details of your customized experience. 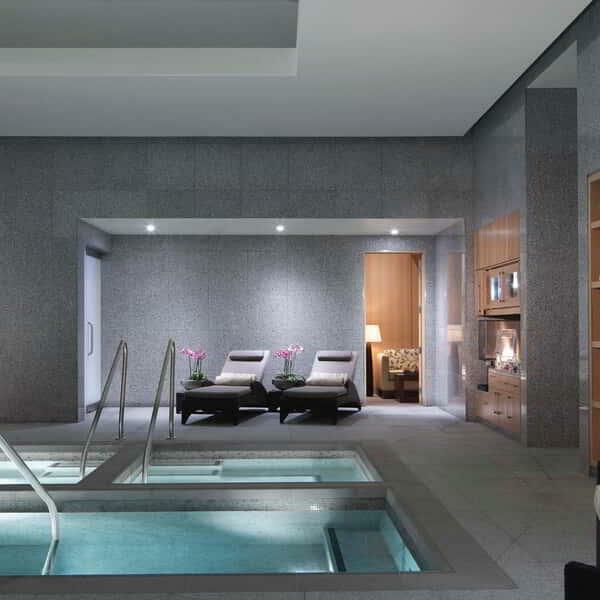 Between treatments, you’ll unwind in your own lounge area, complete with a hot tub. All Spa Suite services are reserved for parties of up to four people in 1-hour blocks of time with a 3-hour minimum reservation required. To reserve your Spa Suite, please call 877.312.2742. 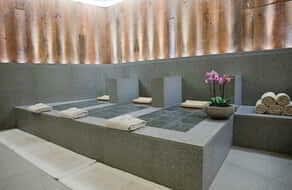 Lie down on our Japanese stone beds and let your tension melt away. Not only do our ganbanyoku beds soothe muscles and accelerate metabolism, they also allow for increased circulation while heating your inner core. 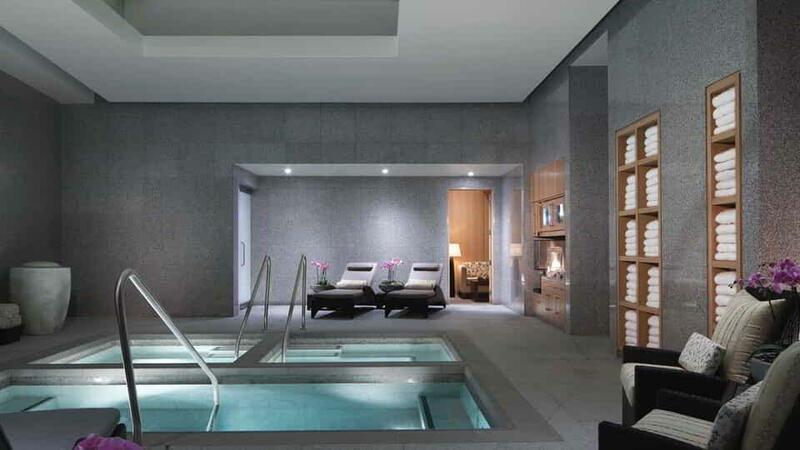 Enjoy pre- or post-spa treatment to help eliminate toxins from your body. 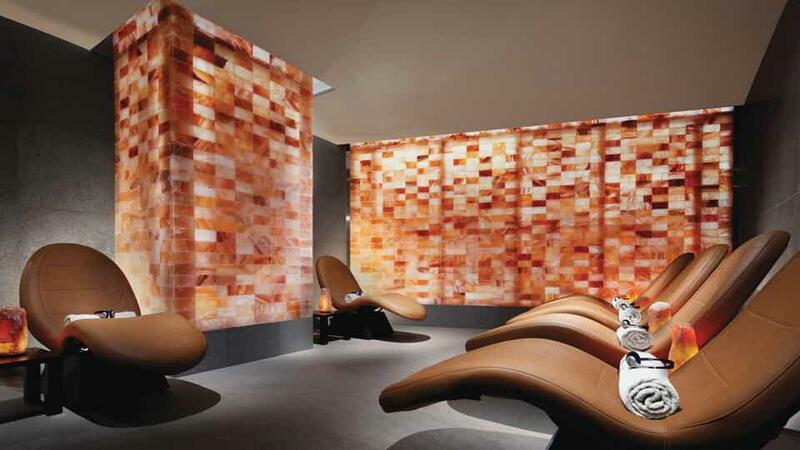 Breathe deeply and enjoy the respiratory benefits of an illuminated wall of Shio salt bricks complemented by salt lamps, vibration therapy and radiant music. You’ll leave feeling refreshed and relaxed. Unwind poolside on Vegas’s only co-ed balcony. 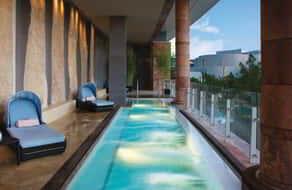 Plush chaise lounges surround our renowned infinity-edge Therapy pool. 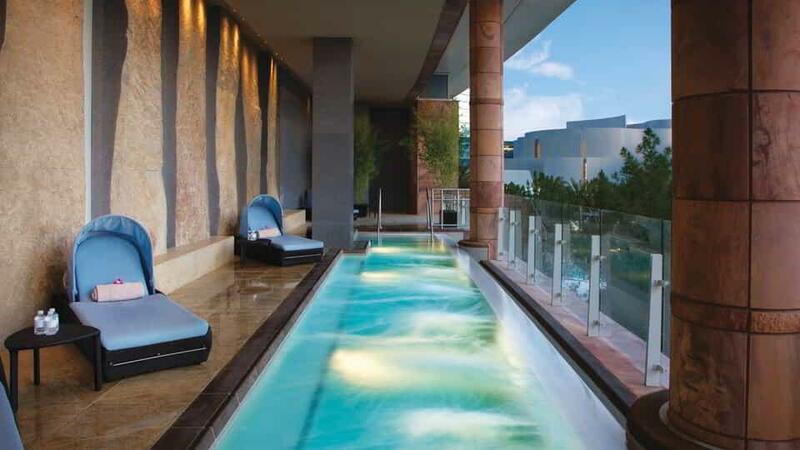 You’ll be perched above the excitement of ARIA’s three pools. Please notify the Spa & Salon four hours prior to your appointment time if you need to cancel or reschedule. If we do not receive a call, you will be charged 100% full payment for services not canceled in the time allotted. Where do you go to define your style? Enter the Casino Floor and follow the left-hand walkway towards the Poker Room. Take the escalators next to Optica to the second level. Follow the right-hand walkway past The Buffet. Turn left at Terrene. The Spa & Salon will be on your right-hand side at the end of the walkway. 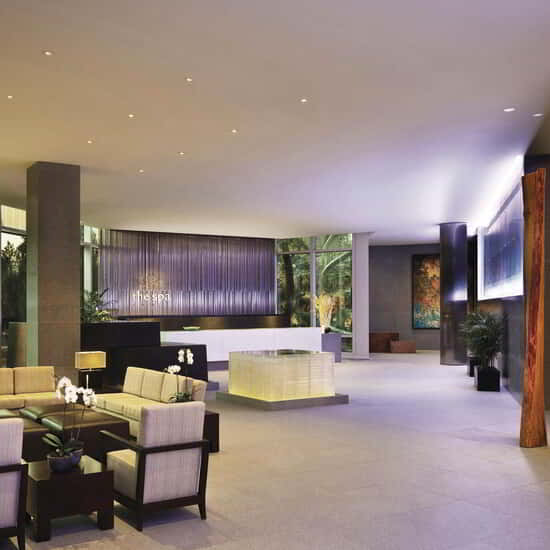 Follow the right-hand walkway next to Lobby Bar, passing ARIA Café and Guest Elevators on your right. Make a right after ARIA Patisserie and take the escalators next to Elements to the second level. Follow the right-hand walkway past Terrene. The Spa & Salon will be on your right-hand side at the end of the walkway.